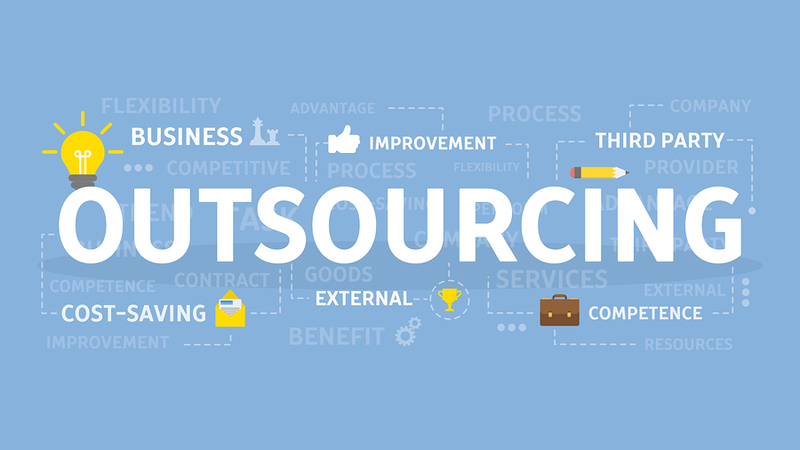 Why Outsourcing is not only for big firms, small companies can also apt outsourcing. Small businesses always need to look for every advantage available to them to compete with their often-larger competitors. Outsourcing is one of the most beneficial advantages available to them. Small companies should use Outsourcing to get succeed in their business and put them on a more level playing field with their bigger competitors that might already be leveraging this powerful tool for themselves. Outsourcing is savior, its saves time and money. Another major factor, why big companies outsource is, it allows them to allocate their assets to tasks that generate the highest value but also prevents them from wasting heaps of valuable resources on starting from scratch. Outsourcing allows companies to complement their employees’ existing talents for significantly less than it would cost to train them. Offshore services providers are not concerned about the size of outsourcing company. Major things that are to be considered as project idea, its feasibility and resource allocation. Smaller sized companies have low budgets so they should invest it smartly for example they can outsource the development work to those countries where the wages are low and their in house team can concentrate on marketing strategy at the same time. It would not save their money only, but time and overhead cost also. Hiring, training the staff and building the infrastructure takes immense time and money to create a platform for product development, so it’s always a best idea to outsource the work to already establish offshore service provider. To create an interesting and competitive product one should hire the expertise and outsourcing facilitates you to hire from the pool of talent. As they have past portfolio and social proof which makes outsourcing company to decide them whether they are best suitable or not. Once the final selection, they can understand your idea and suggest you better way to accomplish it and turned it into real product. Many times small firms simply can’t afford to match the in-house support services that larger companies maintain. Outsourcing can help small firms act “big” by giving them access to the same economies of scale, efficiency, and expertise that large companies enjoy. Outsourcing is more beneficial for small companies , reason being big companies do outsourcing more because they have plenty of work but small companies need to manage many factors like, risk calculations, disaster management, database and servers . Many times small companies are not ready for loss in business but outsourcing creates a pipeline to escape and a platform of stability in such conditions. The major step for the Outsourcing firm is to pen down their idea, requirements, development platform so that they can shortlist the offshore service provider accordingly on the basis of their past work and communication. Looking for offshore service provider (Company link). Your search ends here. Let’s have a communication, talk to out developer and solution architect directly for better vision of your product and best strategy. OSS services are open for small and big firms both. The resources and process design architecture is strong enough to best suitable apart from the size of outsourced company. We will turn your idea in to reality. Come and join us.